Wholesome Hearts are all natural, Low Fat Dog Treats made with high quality proteins and harvest fresh fruits, vegetables and multi-grains. The aroma and taste are exceptional. Dogs just can't resist these scrumptious, healthy treats! Wholesome Hearts are for dogs of all ages and sizes. Also great for senior and overweight dogs! enjoyable pastime and relieves frustration, anxiety and boredom. However, all dog chews are not created equal. is often difficult to digest and could cause intestinal problems. way to satisfy a canine's desire to chew. promote healthy teeth and gums. the very last crunch ! Ingredients: Rice, flour, vegetable fiber, chicken liver, bacon flavor. we will Refund Your Money.....No Questions Asked! are HICKORY SMOKED pig snouts. Hand picked from USDA facilities. Processed in an FDA inspected plant with stringent quality controls. own natural juices for 48 hours. Have a non-greasy, rich texture and golden brown color. 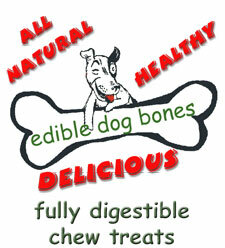 Delicious & Nutritious Peanut Butter Dog Treats for Healthy Gums & Teeth. potassium, iron, magnesium, phosphorus and protein. dry eggs, parsley, calcium and phosphorus. NO artificial colors or preservatives & NO corn or wheat. 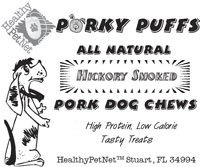 So delicious, dogs won’t know they’re SO GOOD FOR THEM! 4 to 1 over the leading brand of dog treat. house and garden pesticides, bacteria, fungus and more. of accelerated aging, cancer and many other diseases. like ours can help to neutralize free radical damage.